You love slot games and fruities as much as you love bingo, there’s no use denying it! 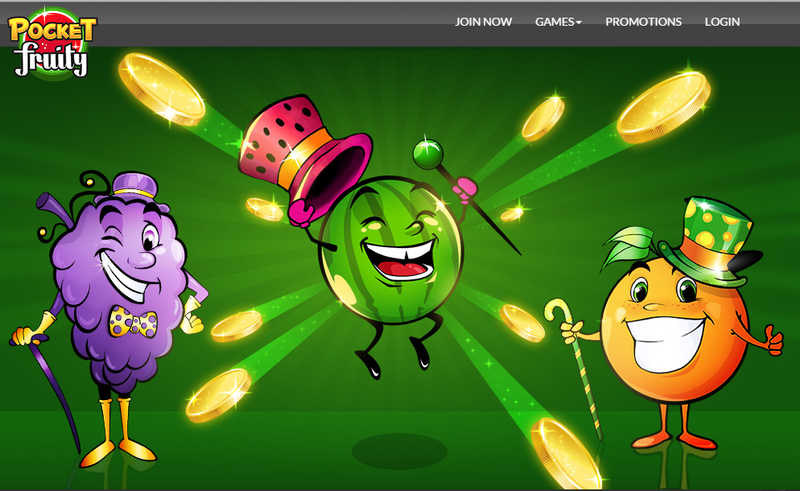 The latest cool mobile casino site to hit our smaller screens is Pocket Fruity! Not only do we love the name – it does exactly what it says on the tin, as they say! – we also love the extremely vibrant and fun-packed games and the best part is that they have incorporated some pop-culture treats. This will greatly appeal to a new generation of mobile bingo and casino fans, so make sure you give it a bash! Unlock cool games to get your £10 BONUS!! Start now, click here!! Grand Master Cash – a cool slots homage to rap music! Paid in Chelsea – a funny little twist on the popular Made in Chelsea reality show! Snake Charmer – a cool and kooky treat with a funky snake charm bonus game! There are of course oodles of promos to get you all started, the best one being a free nod deposit bonus of a tenner so that you can test out the games! There is also a 100% cash match bonus to double your cash and they even gift you with a mega £20 when you refer a friend! Their VIP scheme is spectacular and could win you things like VIP concert tickets, slap-up meals, weekend breaks and many more! We love Fruity Friday, too – the chance to bag bonuses, cash and more every single Friday! The great thing is that users on a 3, O2, Orange, Vodafone, T-Mobile or Virgin Mobile contract or Pay as you Go phone can use their bills or credit to deposit, however the unfortunate thing is that you do not get any of the bonuses if you deposit via text message. Boo! You can also make safe and secure payments via Ukash and of course they accept credit and debit cards, so you have to use these if you wish to snap up that 100% welcome bonus.